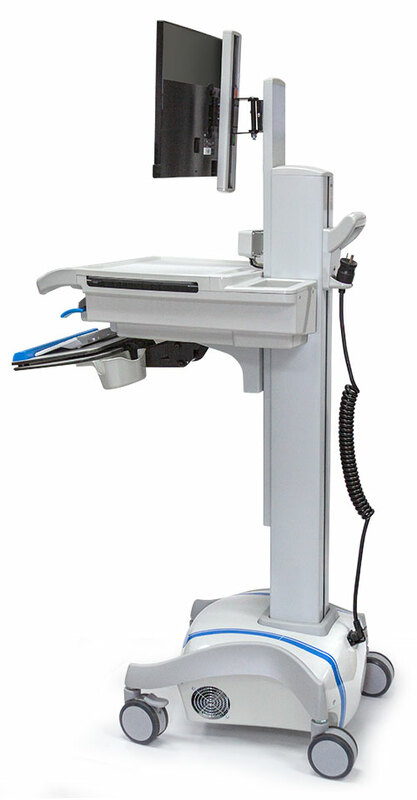 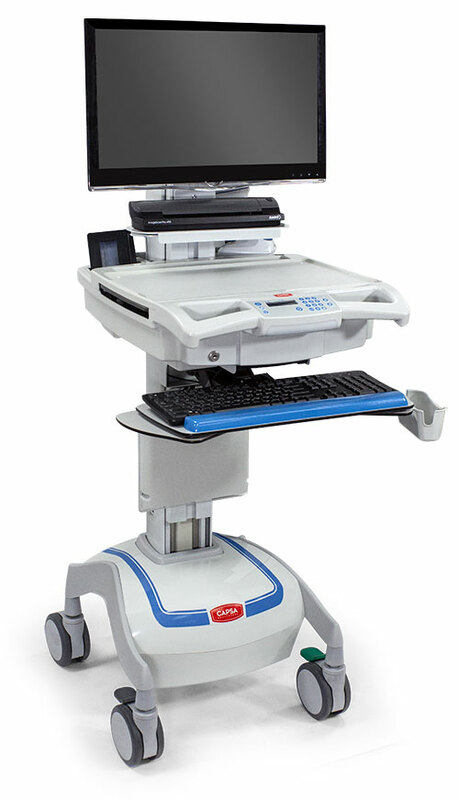 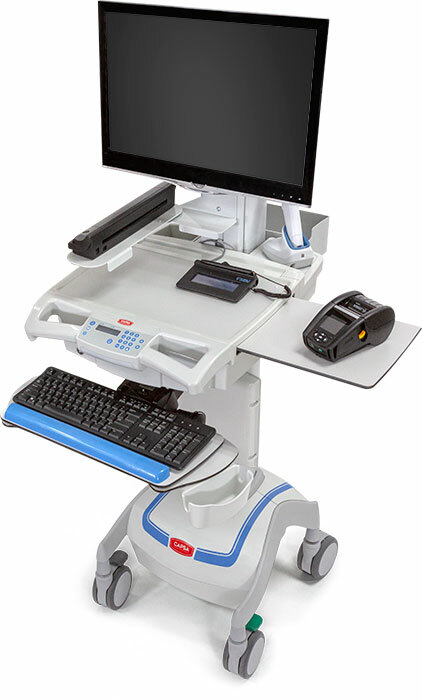 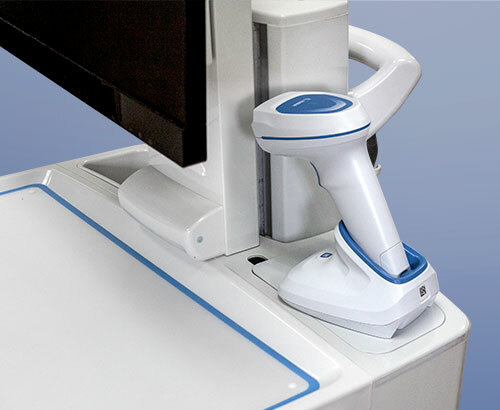 The M38e Registration Cart is a flexible, mobile workstation that enables you to move easily from one patient room to the next. 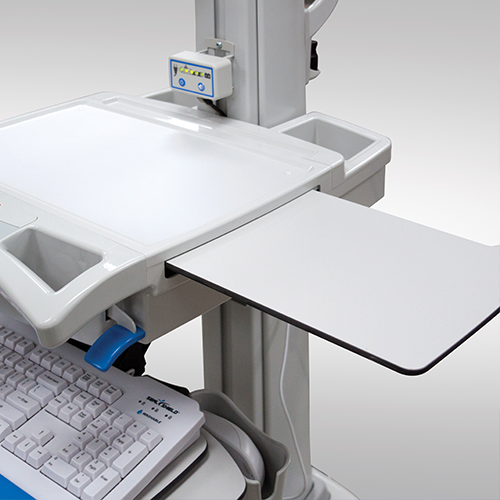 The M38e features a large work surface, with a slide out extension for additional work space. 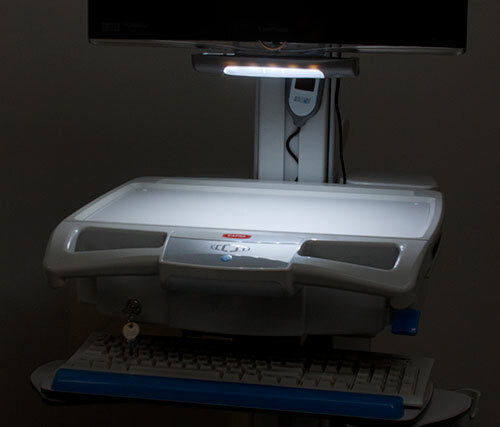 Multiple drawer and bin options provide ample storage and smart organization of supplies. 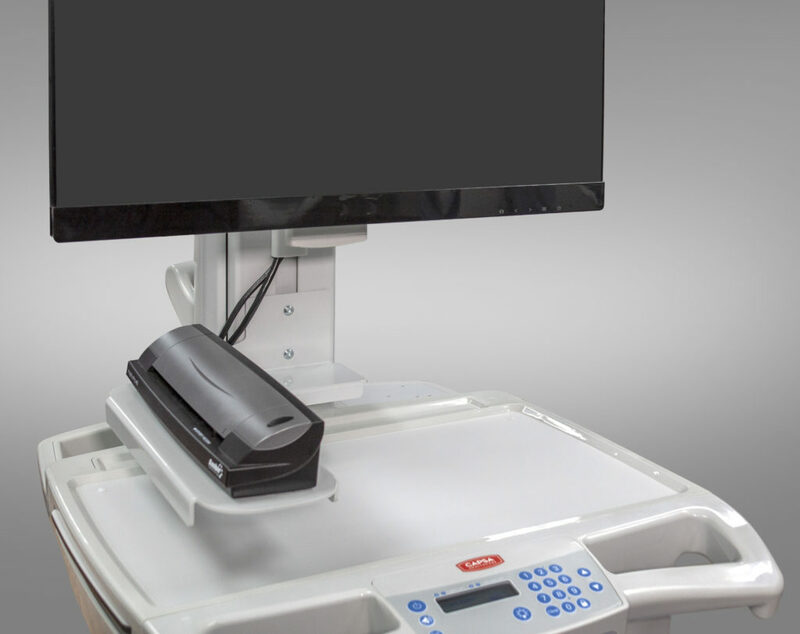 Choose from an array of accessories to best accommodate your choice of printer, scanner and electronic signature pads.